JB Besturingstechniek member of the Silva Groep, is an international oriented family business. With about 40 employees, of which most have a Bachelor or Master in Engineering degree, we are one of the larger autonomous companies in the Netherlands specialized in industrial automation solutions. We do the commisioning of these systems all over the world. Our company has 3 locations in the Netherlands; Oosterwolde, Oldenzaal and Gaanderen. 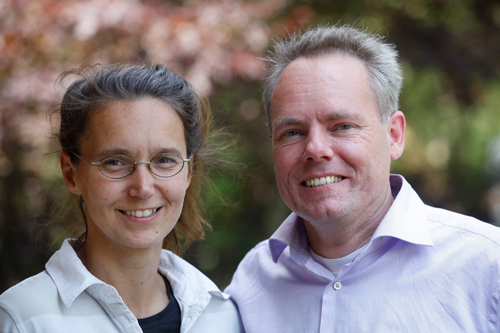 Management: The board of management consists of Marjan Bos-Spijkman (left on the picture) and Jan Bos. Corporate Vision: In order to meet the competition, companies all over the world will have to automate their production sites further and further in order to increase their productivity. The use of intelligent control systems, robots, quality control, and identification systems like OEE software, vision, barcode, and RFID systems contribute to this. The highly educated specialists of JB Besturingstechniek, who have knowledge of the state of art technical possibilities, develop and implement such soft- and hardware. A trend in industrial automation is the replacement of hardware by more flexible and intelligent software solutions. For the development of structured and understandable software JB Besturingstechniek uses a method called SCAM. This stands for Structured Control Analysis Method. JB Besturingstechniek appreciates sustainable relations with her employees, customers and suppliers. That makes it possible to successfully develop and implement automation solutions for our customers.